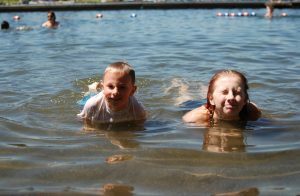 Campers will have the time of their lives playing and splashing around at Lake Meridian Day Camp this summer! Located in Kent, Lake Meridian Park is the perfect place for campers to get outside and connect with nature as they’ll spend the week exploring its nearby wetlands, forest and lake ecosystems. Thanks to our wonderful volunteers and staff, each day of camp will be a new and exciting experience, full of fun activities like some of the ones you will see below! 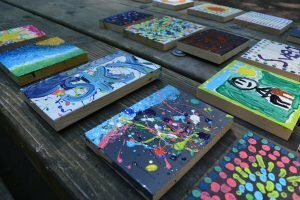 Every week, campers will have a special theme that will inspire our special activities and guests. 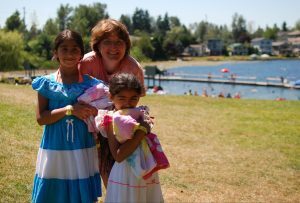 Volunteer or Work at Lake Meridian Day Camp! 8th-10th Grade: Join our LEAD Program and learn new leadership skills, help out at different activity areas, and support camper groups. 11th-12th Grade: Become a Teen Counselor and lead a group of campers, or a Specialist and run an activity area. There is a need for many different skill sets at Day Camp! 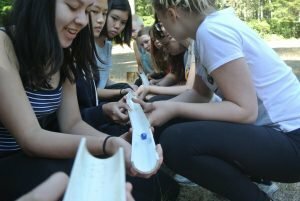 Adults can volunteer at any of our Day Camp sites except for Camp Sealth as counselors, activity specialists, purchasers, equipment managers or health care managers. Full-time adult volunteers get a $100 discount on day camp registration for their own children. Children of full-week adult volunteers will automatically gain entrance into the camp of their choice and will be immediately taken off the wait list. Work at Meridian Day Camp! Join our team of Day Camp staff for the summer! 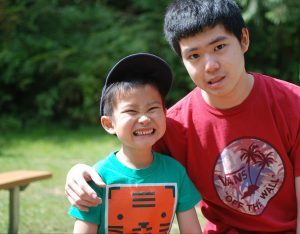 Learn More about Working at Day Camp!